It was a mixed feeling when I entered the room to attend the curtain raiser on 'Naropa-2016' at India International Centre located in Delhi. One of the biggest festival held in Leh every twelve years and touted as ‘The Kumbh Mela of the Himalayas ‘, this was a window of opportunity to learn about the event. 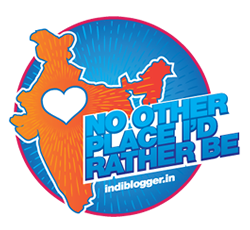 A lot of memories raced through my mind as I interacted with the fellow travel bloggers and a few monks and nuns who had travelled all the way from Manali for this event. The memories of the deep valleys, serpentine roads and arid mountains refreshed as if it was yesterday. Just after my wedding, my wife and I decided to go from Srinagar to Leh on the spur of moment. Next morning in the wee hours we boarded the bus from the Army Transit Mess in Srinagar. The recollection of memories of steep climb through Zojila pass with a wall of snow on either side of the road, till we crossed Gumri( The second coldest place on the Earth) to reach Kargil a distance of 200km for a night halt were still playing. The thoughts were interrupted by the entry of a very down to earth His Eminence Thukshey Rinpoche who currently heads the Drupka Lineage. The agile and young monk spoke softly , in all humility about his background briefly and then went on to describe the culture and pursuits of bringing awareness and maintaining the customs and traditions in the wilderness of Ladakh. His child like exuberance in preserving the adage of ‘Live to Love’ philosophy of life was infectious. A keen environmentalist, an educator, he puts into action the Buddhist philosophy to resolve the current problems. He sets an example by running the famous ‘Rancho school’ (of the movie ‘3 Idiots’ fame), collecting the plastic garbage to clean the environment, planting saplings by the banks of river to prevent inundation and ecological disasters during floods and avalanches, creating shelters for stray dogs and cattle, working towards gender equality , participating in cycling rallies and padyatras to just name a few. Naropa is the patron Saint of the Drupka Order whose life heralded the beginning of the rich traditions of the Buddhist philosophy. The saint resided in Ladakh where he mastered the ‘Six Yogas of Naropa’. These are now the pillars of meditational Vajrayana Buddhism, fundamental to every school in Himalayas.The Drupka Lineage(the Dragon Lineage) dates back to the times of historical trading ‘Silk route’. The present Gyalwang Drupka is the twelveth reincarnation of the founder of the Drupka Lineage. A week -long festival commencing from 16 Sep at the Hemis Monastery in Leh will be flagged off by His Holiness Gyalwang Drupka when he dons the Six Ornaments of Naropa, which are said to provide ‘liberation on sight’ to those who witness it. It is equivalent to taking a dip in the Ganges during the Kumbh Mela. A number of events ranging from a fashion parade showcasing the unique culture and traditions of Ladakh, public display of Six Bone Ornaments, performance of regional and Bollywood celibrities, unfurling of silk Thangka of Buddha Amitabha( the largest silk brocade in the Himalayas), archery competitions, dissemination of teachings of the Lineage and many more activities are planned. It is expected that half a million visitors will attend the festivities, including many celebrities. The mountains will come to life with the echo of music and beat of drums. Elaborate preparations are underway to provide the comfort to the visitors ranging from best of the hotels to home stay with the families. Those who are keen to attend the event can get the details from the site http://www.naropa2016.org/ and info@naropa2016.org. What was like all these years back? 30 years back, roads were bad but there was charm and beauty in Himalayas. I wish I could attend this festival and get one-on-one experience of their culture. 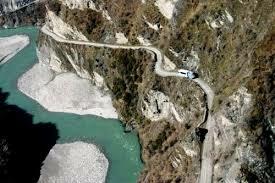 I have very vivid memories of the pristine beauty all along from Srinagar to Leh. The commercialization has taken the toll, but these places offer a strange peace and contentment. This sounds so unique, so intetesting. I haven't been to Leh and Ladakh part of India and therefore I would love to attend this festival. Thank you Manjulika for giving me the opportunity to attend this event!I am sure you will be in Leh sooner than you think:)Do visit as it is unique. I have lived in Srinagar for long but never visited Leh--must be awesome. Thank you Induji for reading. So lucky to have lived in Srinagar! Leh is well worth a visit and is a stark contrast to Srinagar. Welcome to my blog Nhi! You must visit Leh and have fun at the festival. Never have I visited this place. Must visit Mr Chowla, though the altitude sickness can sometimes be a spoil sport. Oo - I'd love to visit! Looks lovely. Am sure it will be worth it! Once it 12 years? That sounds grand. I'm sure the hills will be alive with the sound of music and so much activity. It sounds colourful too. I have the dream of visiting this place. Let me try to attend this festival, if possible. Looks very interesting. Thank you for the information, Rahul. Thanks for reading Sandhya. Am sure you will enjoy if you visit Leh at the time of the festival. I want to visit Leh. The Naropa Festival sounds good. I am sure it must be less crowded than the Kumbh Mela! It wo be worth traveling to Leh for this unique festival. Visiting Leh for the Naropa festival sounds like such a fab idea and unlike Kumbh there's little possibility of getting lost.